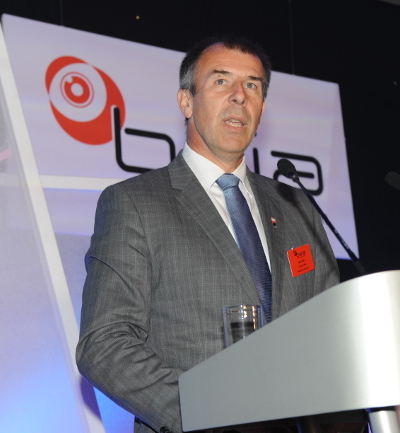 Demonstrating the tangible benefits of trade association membership is key to the British Security Industry Association’s future growth and success, says Geoff Zeidler, the Association’s newly-appointed Chairman. In his inaugural address to BSIA members at the Association’s Annual Luncheon, Geoff stressed the importance of “absolute clarity” in setting the long-term direction of the Association against a challenging backdrop of a changing regulatory and market environment. Reflecting on the past two years, Geoff acknowledged the achievements of his predecessors and pledged to build upon their successes: “Under Stuart Lowden’s chairmanship, the BSIA changed its leadership and started a challenging programme of restructuring to improve the capability of the Association to serve its members under a new Chief Executive. “In these tough economic times we are all under pressure to demonstrate a return on our costs and investments, and our counterparts in the public sector are feeling this pressure even more acutely. Police forces across the country are beginning to explore different approaches to delivering a critical public service, and in recent months many forces have engaged with the private sector to investigate innovative ways of partnering to save cost and enhance service without compromise to their responsibilities for core policing. “The results of our recent members’ survey show membership is of greatest benefit to those who get involved, and the reason is simple. There is a tremendous amount going on in the BSIA, and it is guided and driven by those who actively participate. I look forward to working out how best to get even more members engaged, and so to ensure that the BSIA remains relevant and representative; and becomes even more effective for all current, and future, members. Geoff will serve as BSIA Chairman for a two-year period, and will be supported in the first year by Julie Kenny CBE DL as Vice-Chairman.